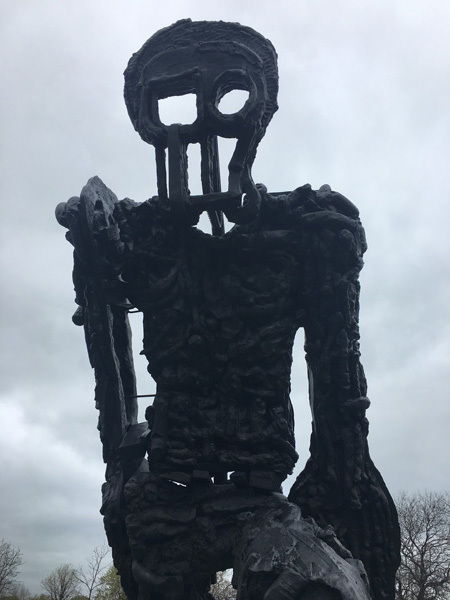 The skeleton-like figure looms over a grassy hill between the beach and the lakeshore path just north of Foster Avenue Beach in Chicago. 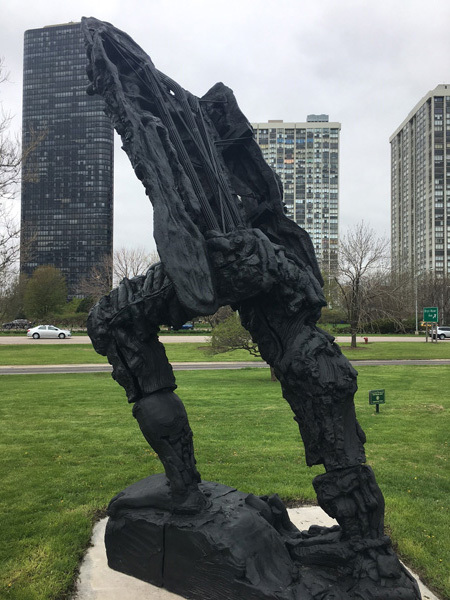 CHICAGO -- A new sculpture on Chicago's North Side is drawing strong reactions from visitors to Foster Avenue Beach. 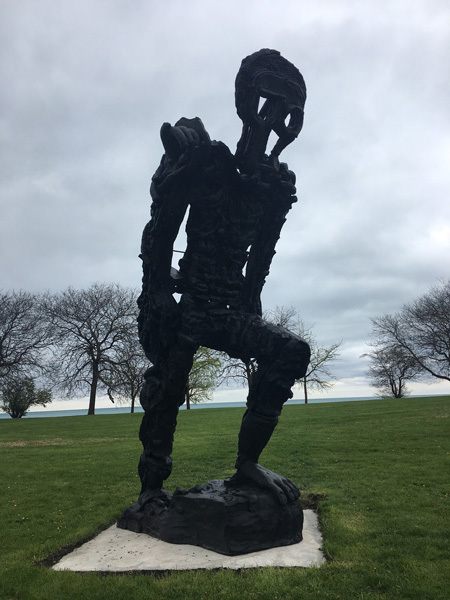 The skeleton-like figure has loomed over a grassy hill between the beach and the lakeshore path since Tuesday afternoon. On Thursday, curious visitors snapped photos and contemplated its meaning. 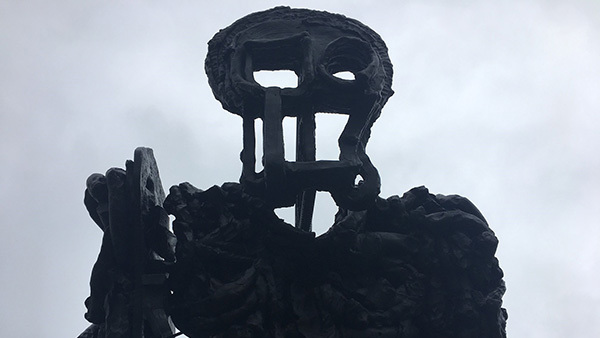 "I like it, and the feeling of motion that it gives you," one passerby said, noting it reminded her of Swiss sculptor Alberto Giacometti. The piece was created by contemporary artist Thomas Houseago, who was born in Leeds, England and now resides in Los Angeles. His 2013 "Striding Figure" is influenced by Cubism, performance art and Futurism. It's just one of many artworks that will be installed across the city this year as part of Mayor Rahm Emanuel's "Year of Public Art" 2017 initiative. "I think public art is great. We need more of it," another park visitor said. We asked our ABC 7 Chicago Facebook fans to weigh in with their thoughts. 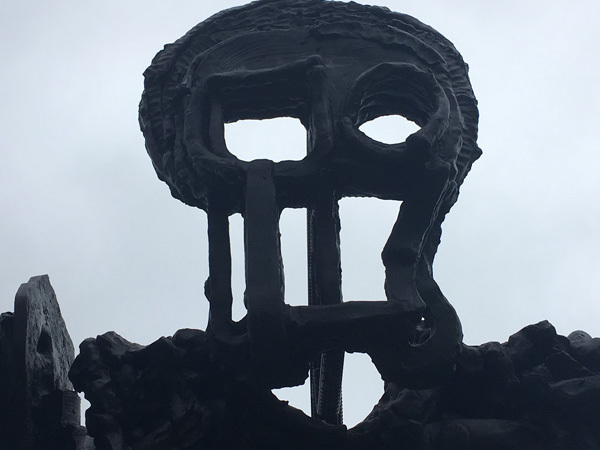 While the audience was split on whether the work was more "cool" or "creepy," many offered their own interpretations of what the statue represents. "I think it's the battle through the depression, like he's dragging a weight behind him," Anna R. Kee wrote on Facebook. Others expressed concern that the subject matter was too "dark" for a park that's popular with families. "That's going to scare some kids," ABC 7 Facebook fan Dee Bernath said. "Not something I want my family picture in front of!" another Facebook fan, Susie Azzolina, said. 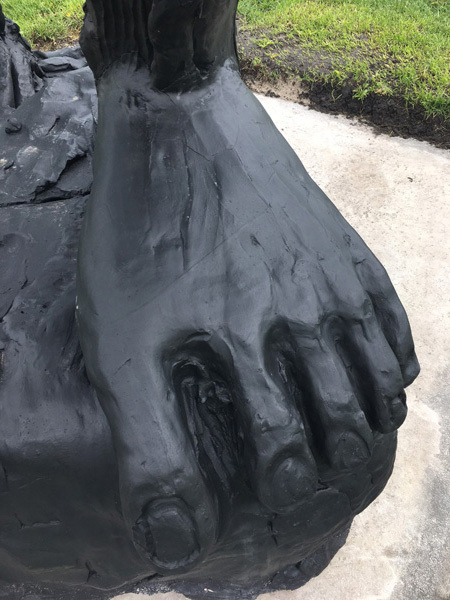 Others said they saw either a football player, a zombie, or "Terminator" in the twisted bronze. 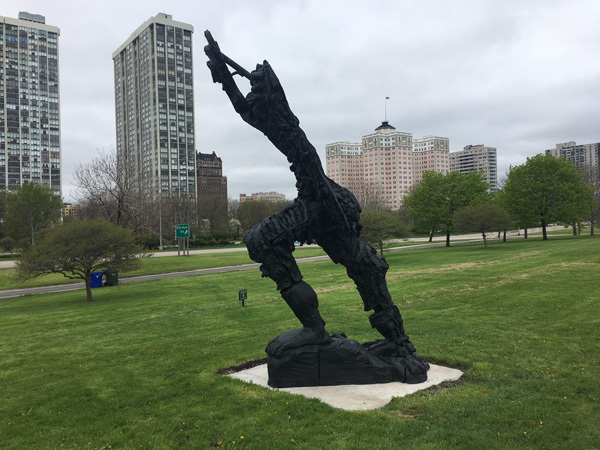 While acknowledging that any public art piece will evoke positive and negative feedback, the Chicago Park District said it had not received any complaints about the piece as of Thursday. "It's all in the eye of the beholder!" ABC 7 Facebook fan Cyndi Peters Chervinko said. Whether you love it or hate it, the artwork is certain to spark conversation. 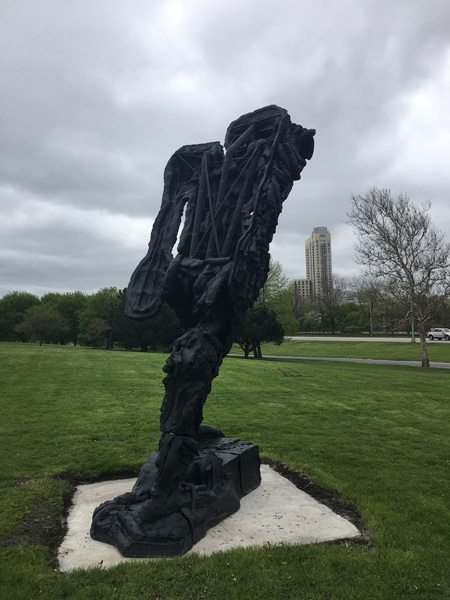 The park district said the piece is on loan from the artist and will remain in place for one year, with the option for a one-year extension. 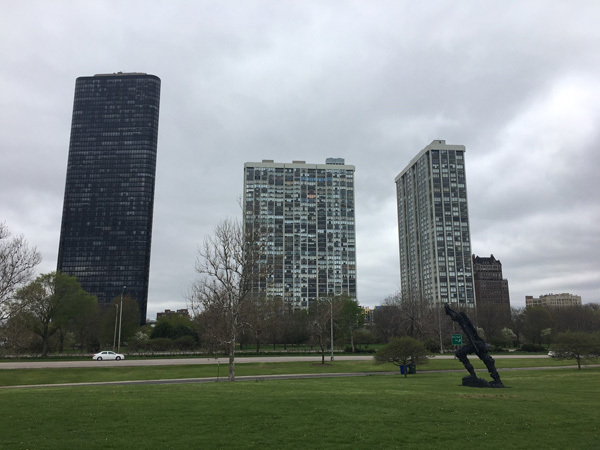 The park district also confirmed that all public artworks on display along the lakefront are not commissioned and artists do not receive payment for their loan.